HomeSaucesPassion Fruit Kiawe BBQ Sauce - Award Winner! 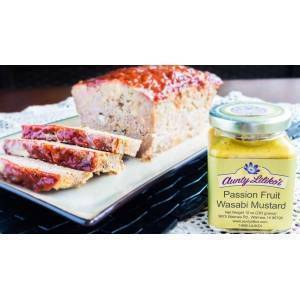 Passion Fruit Kiawe BBQ Sauce - Award Winner! Delicious on pork or chicken. A smokey and bold mustard-based BBQ sauce that will coat your ribs (and warm your heart). With aromatic mesquite, garlic, and subtle sweetness that is followed by a habanero kick, our Passion Fruit Kiawe BBQ Sauce is superb for chicken or salmon. Use to marinate or top your favorite barbeque dishes.